HOLO-KROME's products, like those of any manufacturer, must meet certain criteria. The definition of those criteria can be done several ways. It is common for people to refer to an "Industry Standard," when they are looking for an easy way to define a product. Actually, any manufactured article must, of necessity, have two sets of characteristics: the dimensional, controlling the size and shape, and the mechanical, controlling the base material and the performance of the product. 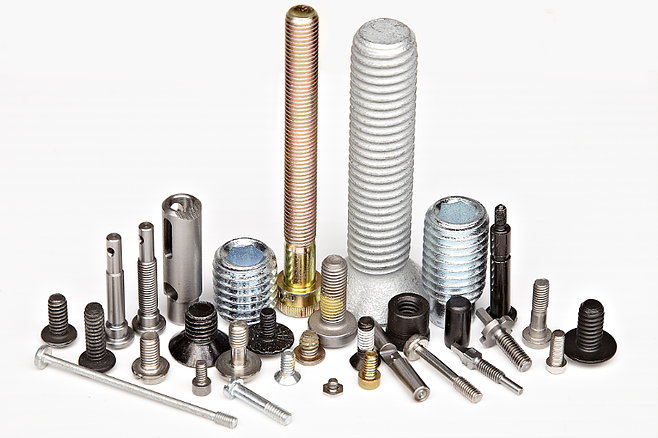 In the fastener industry, there are many organizations which write standards or specifications for this product. In the case of socket head cap screws, for instance, one set of applicable standards would be the ASME/ANSI B18.3, which defines the dimensional characteristics of this product, and ASTM A574, which defines the mechanical properties. Both of these are quite detailed, providing on the one hand, basic size definitions such as diameter, length and thread size, as well as surface finish, concentricity and method of manufacture, and, on the other hand the basic chemistry, heat treatment, hardness, tensile strength and other metallurgical characteristics, as well as the tests necessary to establish they have been done correctly.